The Viking Line Amorella can carry up to 2500 passengers, 450 cars and has around 1950 beds spread across a selection of cabins. Amorella offers activities for all age groups. A great selection of food is served onboard and tax-free bargains are available too. 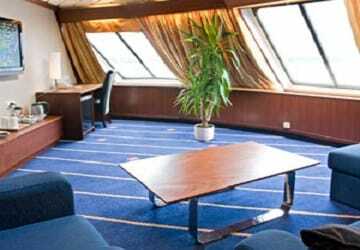 Onboard you'll find a range of cabin accommodation including luxurious suites, inside and seaview (outside), upper deck, lower deck and economy. 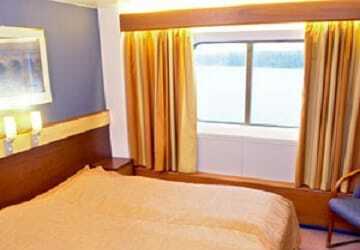 Apart from the Economy type, all cabins are equipped with shower, wc and alarm. Please Note: Whilst we have taken great care in making our Amorella guide as accurate as possible, onboard facilities, services and entertainment may vary depending on the date and time of year that you travel, facilities mentioned may change without notification and ferry companies reserve the right to operate vessels other than those mentioned at time of booking without prior notification. 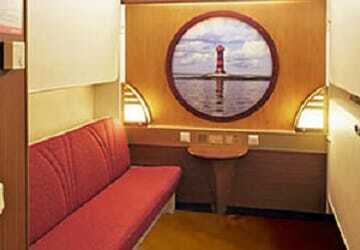 "A good and comfortable voyage "
A lovely first time experience on a Viking line ship for this kind of voyage. Everything I need was accessible and the cabin was comfortable. 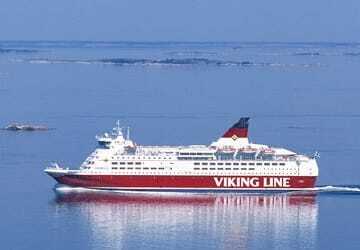 We thoroughly enjoyed our recent experience on Viking Line's overnight auto ferry between Turku and Stickholm. From ticketing to check in to the clean and modern room to the views from the deck to the friendly employees! We enjoyed every aspect of our ferry crossing and would gladly sail with Viking Line again in the future! We have sailed on several different autoferries both in Europe and the US and, by far, Viking Line has been our favorite experience of all! Keep up the great work! "best thing that i made in my life." 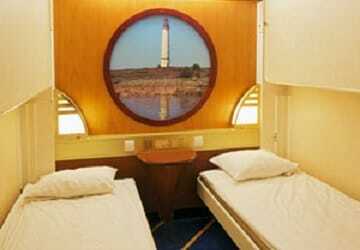 We really appriciate the service that given on board.camara, restaurants, shows were excellent. I shared my experience with trip adviser too. A very pleasant trip between Helsinki and Tallinn with good hosts. We will recommend this trip to our friends. Good crossing, lots of entertainment. Check-in time of 90 minutes before departure is a bit too much. you might expect to pay through the nose for a cruise on the Baltic - but the 11 hour daytime ferry crossing cost only a few pounds. The Amirella was a well equipped liner, with excellent catering options. Comfortable seating was limited . Some might find an 11 hour trip too long but we enjoyed the constant changes as the massive vessel weaved through the series of islands. The highlight was following the Swedish coast and the entrance to Stockholm. It was cool to travel with car. "Day trip on the Viking ferry from Turku to Stockhom"
A lovely journey, through archipelagos of islands at both ends, and a terrific Scandinavian smorgasbord in between. we were also lucky that he weather was lovely, and so we spent most of the trip on the rear deck, with an excellent view. "Day crossing Turku - Stockholm"
Great trip on board a nice ship serving one of the best buffets!! !